The National Security Agency (NSA) used a top secret court order to collect telephone records on millions of Americans without their consent. The order demanded Verizon to provide records on an "ongoing, daily basis" to the federal government on calls both within the United States and between the United States and other countries. The secretive Foreign Intelligence Surveillance Court (FISA) granted permission to the Federal Bureau of Investigation (FBI) on April 25 for a three month period of spying on the phone records of American people. The court expressly barred Verizon from disclosing this massive intrusion on privacy to the public. This court has allowed the federal government to spy on phone calls and track the American people without their consent or knowledge. Congress needs to intervene and restore the basic protections afforded to Americans by the U.S. Constitution. This is just another step in the NSA plan to collect and track data on the American people. The NSA has quickly become the largest, most covert, and with the help of technology and court orders, the most intrusive intelligence agency devised by man. 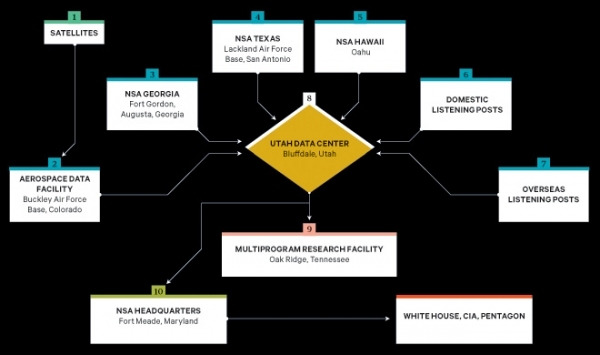 According to Wired, the NSA has established the country’s largest spy center in the mountains of Utah. Unless Congress acts, the NSA’s long train of abuses and usurpations will be permitted to take America down the road of tyranny. The power of the NSA should be constrained by the Constitution. The Fourth Amendment states “The right of the people to be secure in their persons, houses, papers, and effects, against unreasonable searches and seizures, shall not be violated, and no warrants shall issue, but upon probable cause…” When the British occupied the colonies, they seized persons and their property without justified cause. Based on these early experiences, the Founders recognized the importance of allowing people to be safe from unwarranted search and seizure. 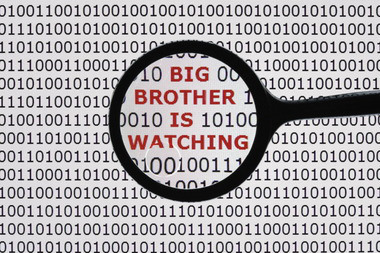 The NSA’s ability to catalog data on US citizens does not give them the right to do so. William Binney, a former senior NSA crypto-mathematician responsible for automating the NSA’s worldwide eavesdropping network, quit in late 2001. He stated, “They violated the Constitution setting it up…but they didn’t care. They were going to do it anyway, and they were going to crucify anyone who stood in the way.” The world of digital technology does not give license to infringe upon free speech and neither should it permit federal intrusion into people's private information. The cyber world is not exempt from the Fourth Amendment and the U.S. Constitution. A few senators seeking to obey their oath to defend the Constitution have introduced legislation to ensure Americans are protected even in the digital world. Senator’s Patrick Leahy (D-Vt.) and Mike Lee (R-Utah) have a bipartisan proposal to deal with the intrusions of the NSA and other agencies. The Electronic Communications Privacy Act Amendments Act of 2013 makes it clear that a search warrant requirement is required in order for the government to obtain emails and other electronic communications of American citizen. Another bill, by Sen. Rand Paul (R-Ky.), is even broader. “The Fourth Amendment Preservation and Protection Act of 2013” would extend Fourth Amendment guarantees to the cyber world and electronic communications. Rand Paul’s bill would protect all records held by third parties from any agency of government without a warrant issued by a judge. Congress must curb the power of NSA by following the Constitution before the nightmare of 1984 becomes a part of our world. With snakes like "Baghdad Jim" McDermott in Congress, who gets his jollies by illegally listening into Newt's private cell phone conversations, there's no hope of fostering outrage among those creeps. Sure, NSA might be able to stop a couple of (now they'd have to be) dumb terrorists by retrieving everyone's phone records--just like a department store might be able to stop a few shoplifters by putting cameras in the restrooms. Where this gets exceptionally dangerous--even more so than violating an individual's Fourth Amendment rights, is the ability to use the information to establish degrees of separation between any two given individuals. Do you know everyone you know knows? If there are two or three degrees of separation between you and a know terrorist, whether you know it or not, prepare to be boarded by the DHS, FBI, BATF, and a host of other public servants. The data can also be used when the time comes to confiscate guns (called any ammunition or sporting goods stores lately?) or gold. If there's any provider out there who refused to cooperate with the NSA (like Qwest did a couple of years back) in this gross attack on our rights, now's an excellent time to get great market share by advertising that fact. The first word in FISA is "Foreign," and any order they have which affects purely domestic matters is illegal. Google's Eric Schmidt Invests in Obama's and Democratic Party . The new consulting firm, Civis Analytics will provide Democrats data mining information in order to win the 2014 elections. I wonder if Civis Analytics will have access to the NSA databases.